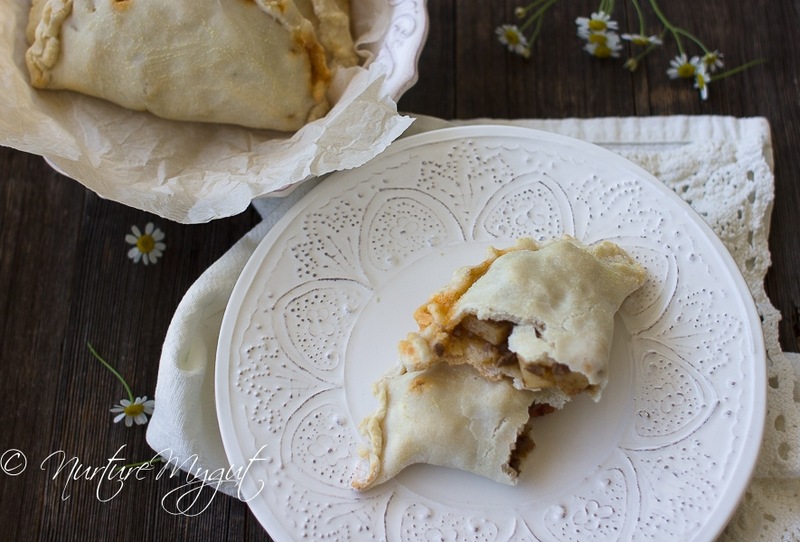 Delicious Grain Free Everything Empanadas made from Grain-free Everything Dough! 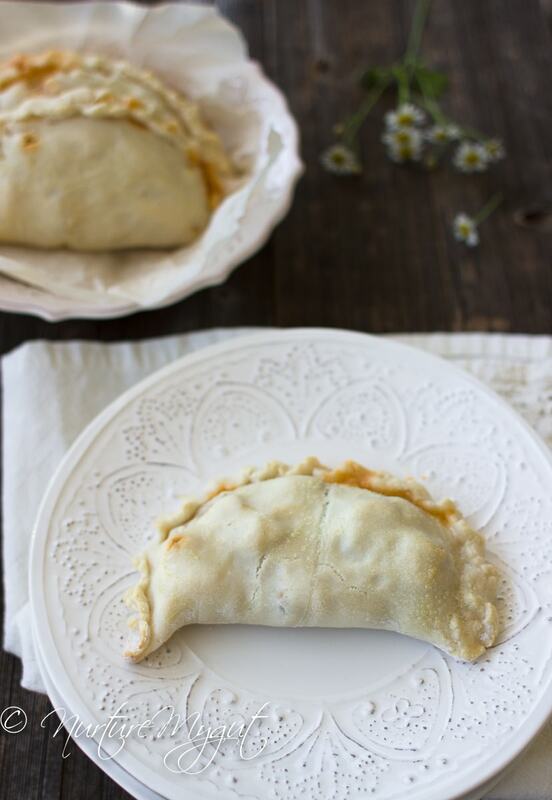 These savory empanadas are stuffed with Mexican Picadillo which is a blend of ground beef, vegetables and spices. 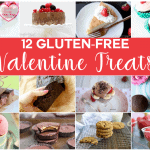 They are gluten free, grain-free, Paleo friendly and dairy free. 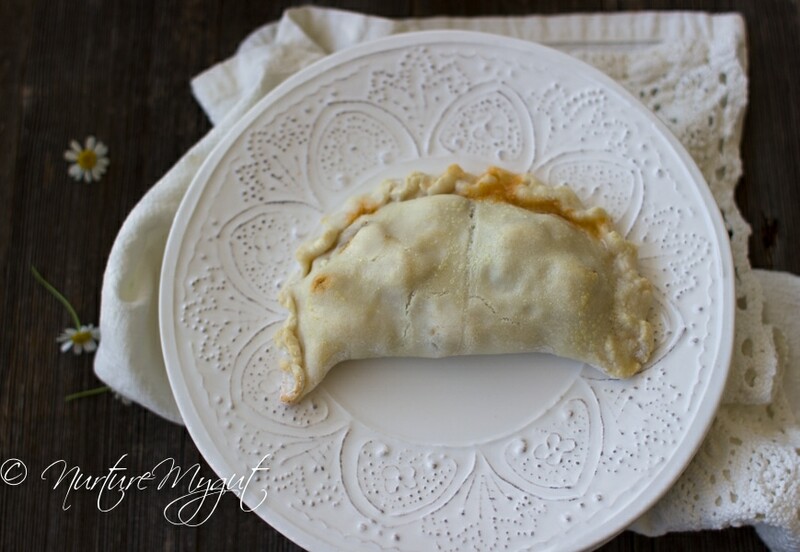 Use this basic recipe to make any sweet or savory empanada your heart desires! My grandmother loves to make empanadas, which she in turn learned from her Mom. 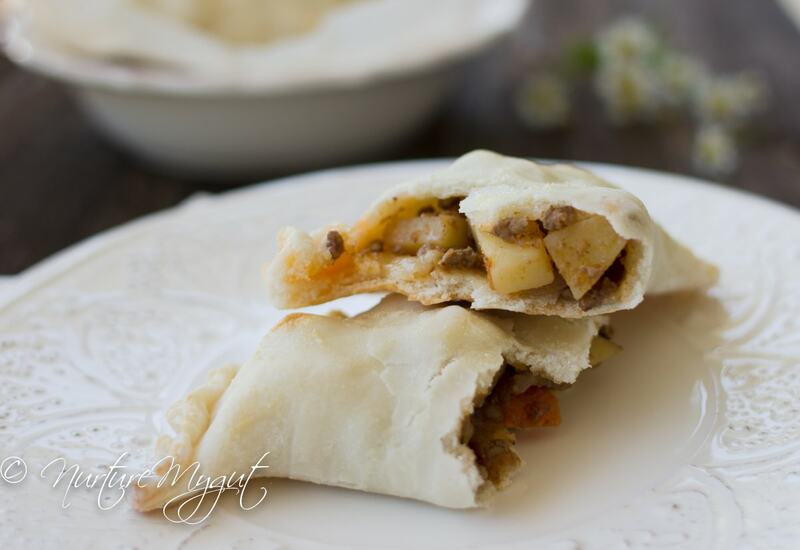 Some of the recipes I remember most growing up are empanadas stuffed with Mexican Picadillo or Yams. 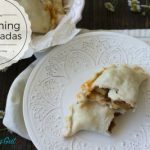 So today I am showing you a traditional empanada stuffed with a homemade Mexican Picadillo, similar to the one my grandma would make. Only this time, it is a grain-free free everything empanada. 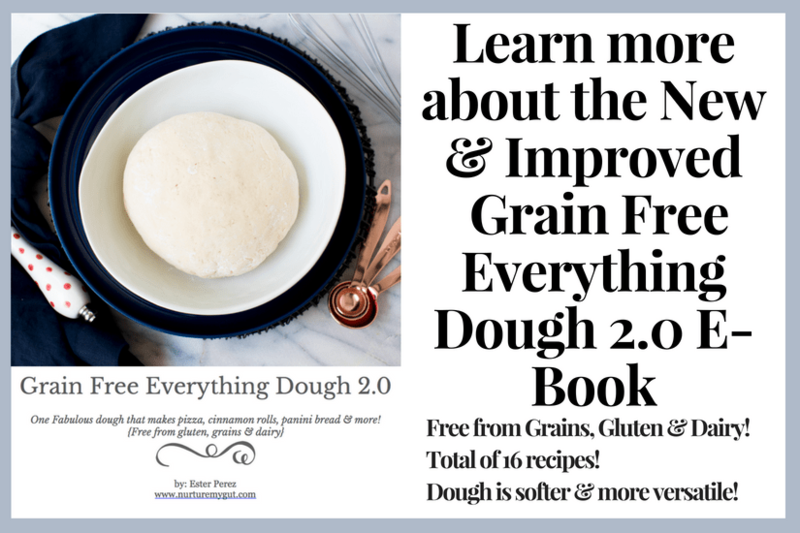 The first thing you will do is make a batch of Grain free Everything Dough. 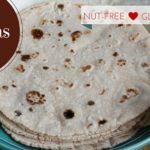 This recipe will make a lot of Picadillo so I suggest you make 2 batches of dough or reserve the rest of the Picadillo to make burritos with my Gluten Free Tortillas or if you are allergic to nuts, my Paleo Tortilla’s 2.0. Let’s get started! 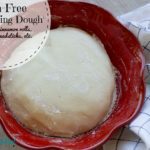 Make a batch of Grain Free Everything Dough and divide your dough into 6 balls. 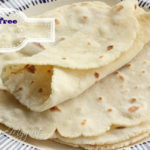 Place a large sheet of parchment paper on your counter or cutting board and dust generously with tapioca flour. 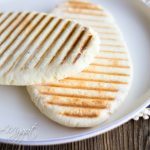 Shape your dough into a disk. Okay, I know this seems like a lot of items but bear with me! 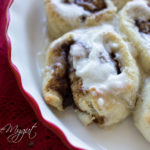 You can make the dough a day before if you want to break recipe into easier steps. Or, you can also use this organic pumpkin pie mix and have these ready in no time! 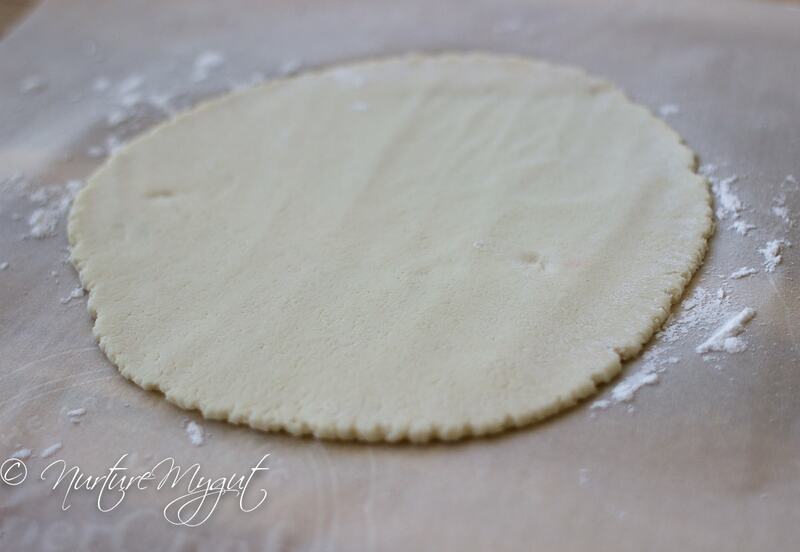 Dust your rolling pin with tapioca flour and roll dough out to a 6 inch circle. Be sure to dust your dough while rolling, flip over and dust with tapioca flour so it does not stick to the parchment paper. Now, fill with your favorite stuffing. 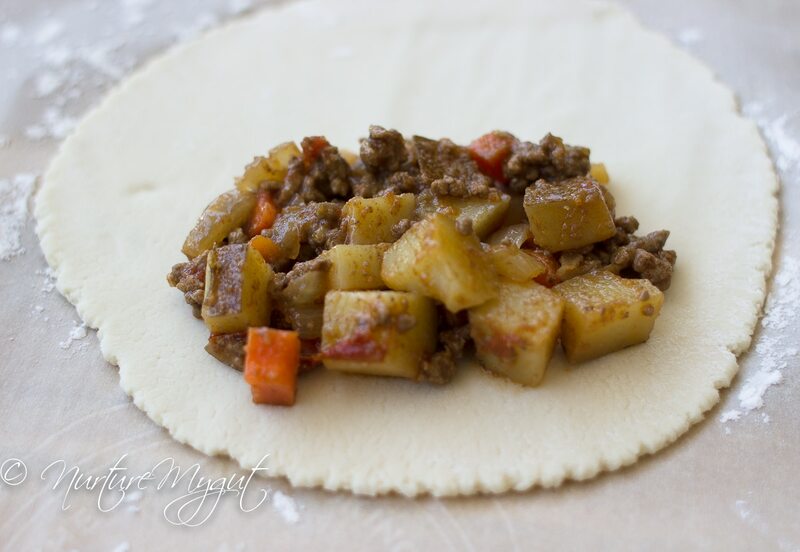 I stuffed mine with Mexican Picadillo which is a blend of ground beef, vegetables and spices. You can make your own sweet or savory stuffing. 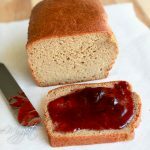 I have included my recipe below in the recipe box. Do not overstuff or the dough will tear. Also, it is best to cut your veggies very small, large pieces will also cause the dough to tear. 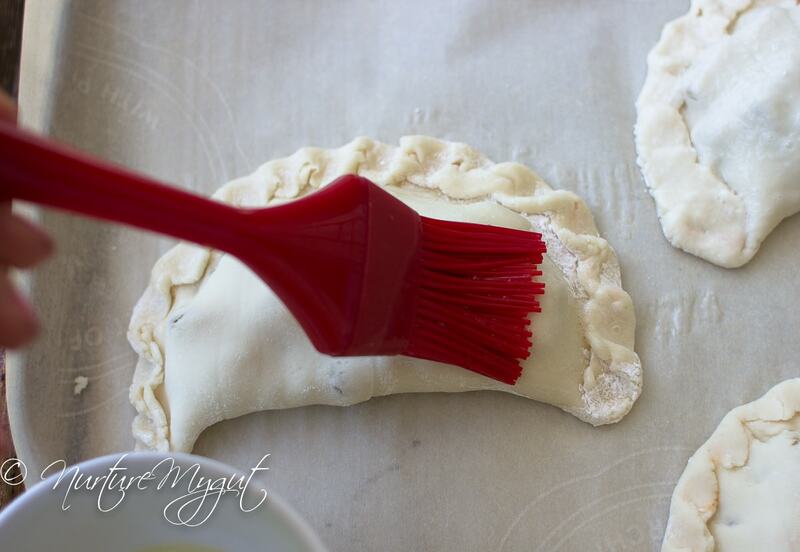 Now fold your dough in half and fold over the edges. Press down with your fingers to seal the edges. 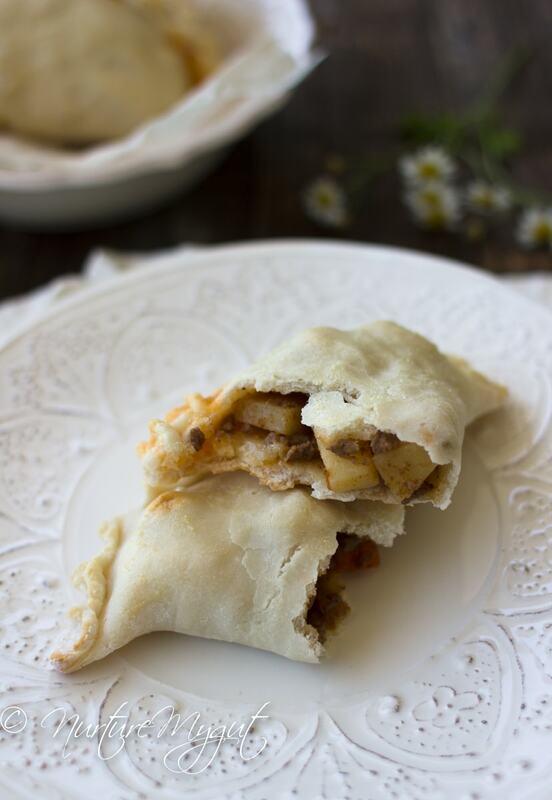 Place your finished grain free everything empanada on a parchment lined baking sheet. Next, you will brush with egg white all over. This will ensure a soft dough. Repeat with remaining dough. Once all of your grain free empanadas are finished, bake in a 400 degree oven for 12-14 minutes or until slightly golden. 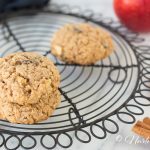 These smell wonderful when baking! When they come out of the oven they are piping hot so you will need to wait 15 minutes to allow them to cool! Trust me on this one! 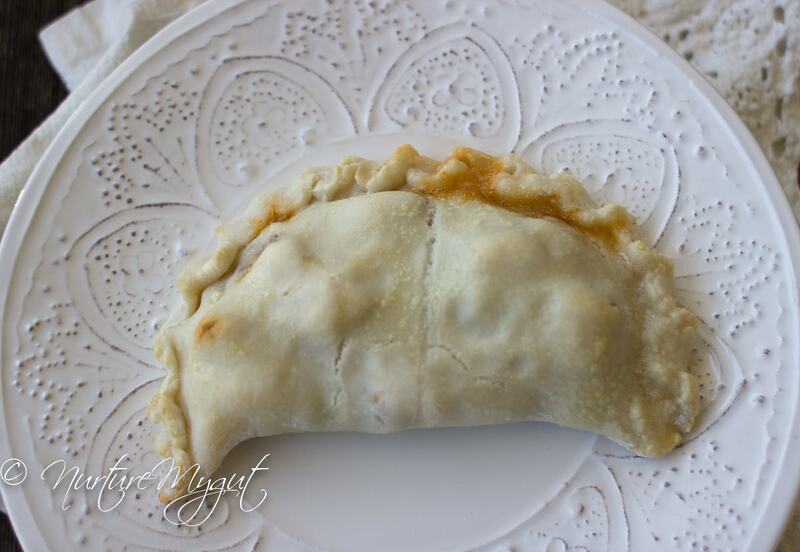 If there are any leftover empanadas, they can be reheated in the toaster oven at 400 degrees for 10-12 minutes. 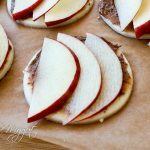 These are great for lunch boxes, picnics, taking to the beach or road trips. 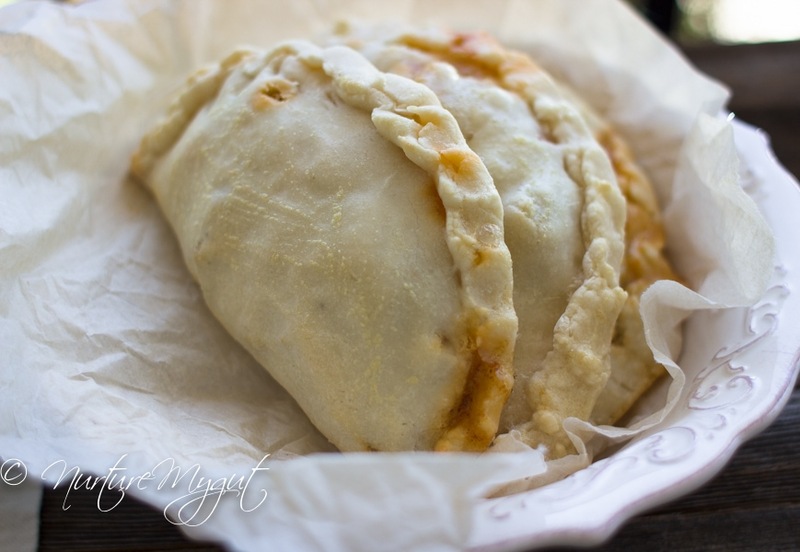 They can also be stuffed with a yam puree for a sweet empanada. 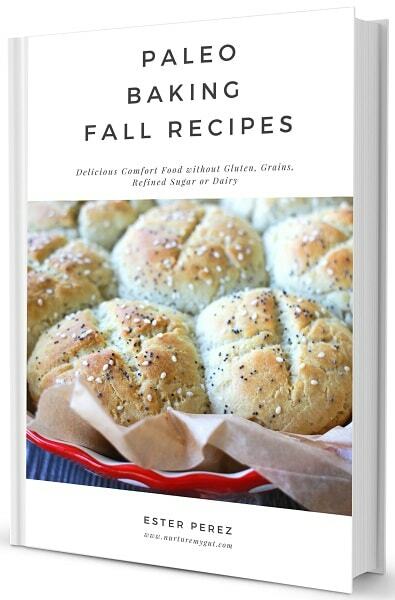 I will be working on that recipe next. 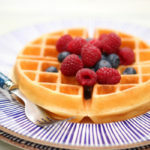 I will be serving these at my next brunch or tea time. They will be perfect! 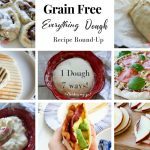 This Grain Free Everything Dough is very versatile. 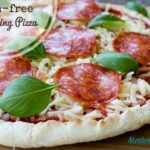 Please check out my Grain Free Everything Pizza that is also made with this same dough. More recipes made with this dough will be coming soon to the blog so be sure to subscribe below so you don’t miss out! Preheat oven to 400 degrees. Line a large baking sheet with parchment paper and set aside. Divide dough into 6 balls. Place back in mixing bowl and cover dough with a towel so it does not dry out. Place a sheet of parchment paper on a clean counter and dust generously with tapioca flour, this will be your rolling surface. 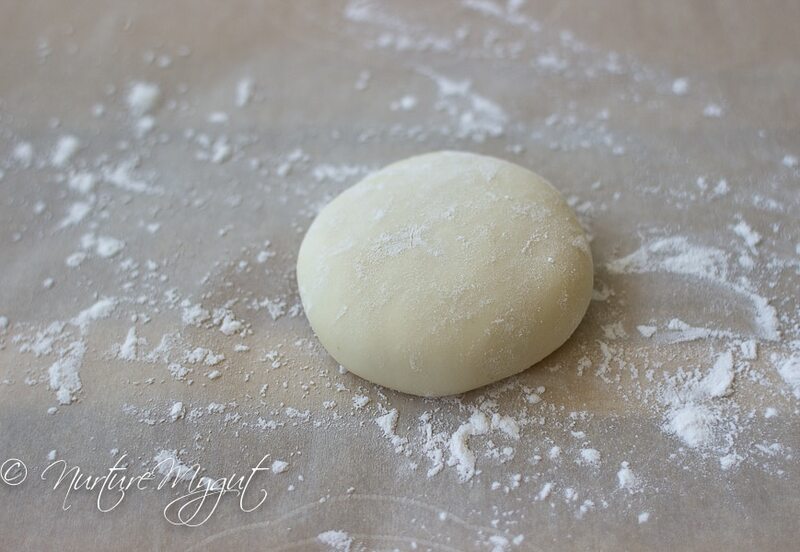 Remove one ball of dough and form into a disk. Dust with tapioca flour and place on parchment paper. Roll into a 6 inch circle. Pour a small amount of filling over half of the dough, see photo above. I used a little over 1/4 cup of filling. Do not overstuff or the dough will tear. 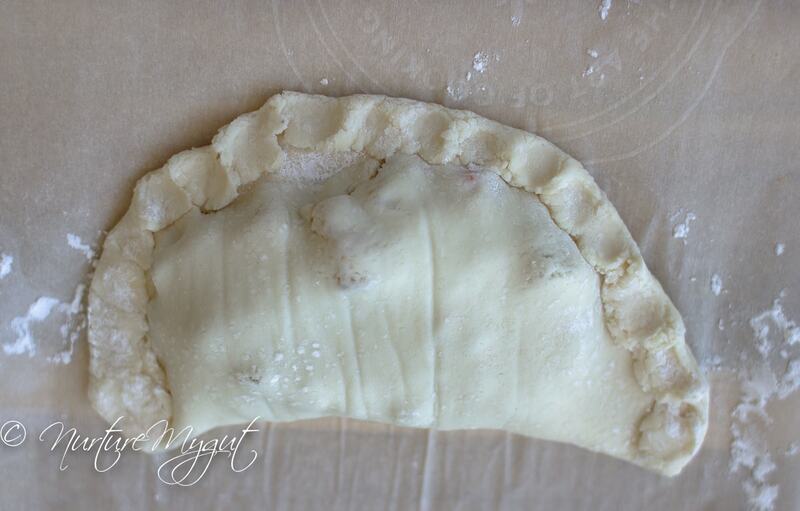 Fold dough in half and fold over the edges. Press down with fingers to seal edges. Using a large spatula, carefully place your finished grain free everything empanada on the parchment lined baking sheet. 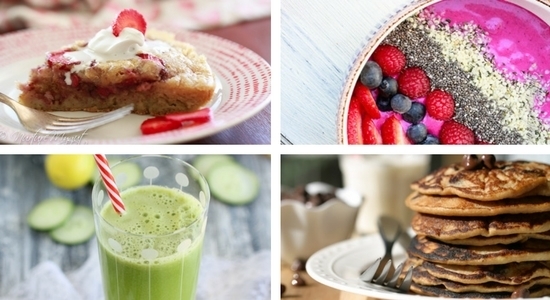 Brush with egg white all over. Repeat with remaining dough. Arrange finished empanadas on baking sheet. Bake for 12-14 minutes or until slightly golden. Allow to cool for 15 minutes before eating. Store leftovers in a sealed container in the fridge. Reheat chilled empanadas at 400 degrees for 10 minutes before serving. Nutritional info includes 1 serving of picadillo in each enpanada. In a large skillet, heat oil and add onion. Saute 2 minutes and add ground beef. Brown for 5 minutes. Add remaining ingredients, stir and cover 10-12 minutes or until potatoes are cooked through. Taste for seasoning. 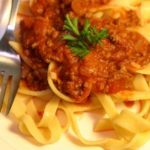 Made these for dinner last night! They were so good! Even though it takes a little more time prepare it was totally worth it. I can’t wait to make them again. I used a seasoned pork filling with canned green peppers and quest fresco. The way the fat seeps out and makes the bottom a little crunchy is perfect!